Left: Elena Heer (L), daughter of Guernsey, WY, Clerk Jane Heer and Guernsey Postmaster Curt Artery saddled up under the light of a full moon during a recent Pony Express ride reenactment. Right: Author Laura Vanderkam uses personalized stationery when keeping in touch with friends and contacts. Get a behind the scenes peek of a Pony Express ride reenactment on this episode of Your Postal Podcast. You'll also hear from the author of a recent Fast Company article on how to network with others.through the mail. Click here to read a transcript of this podcast. Please send feedback and story ideas to YourPostalPodcast@usps.com. Thanks for listening! Transcript for September 2016 podcast. Transcript for the May 2014 Podcast. Transcript for the October 2103 podcast. To read the transcript, click here. Transcript for the September 2013 Podcast. The January 2013 edition of Your Postal Podcast provides a look behind the scenes at the task of delivering hundreds of thousands of messages of sympathy and encouragement to the residents of Newtown, CT, after last month’s senseless shooting at an elementary school in that community. You’ll also hear about one class of mail celebrating a significant anniversary this year. As always, the podcast concludes with a roundup of postal news, plus details on how you can enter to win free collectible stamp items. For a transcript of this show, click here. Thanks for listening – and don't forget to visit Your Postal Blog for daily updates on all things postal. To submit a story idea click on the "comments" link below. 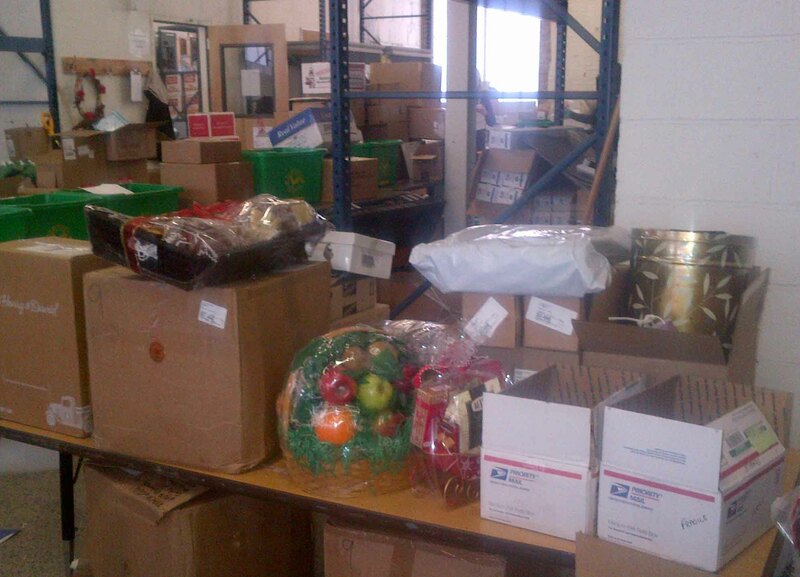 (Top) A temporary Post Office Box was established in Newtown, CT, to help manage the thousands of cards, letters, fruit baskets, books, teddy bears and other gifts that poured in from people around the world to share messages of grief and sympathy after December's shootings at a local elementary school. 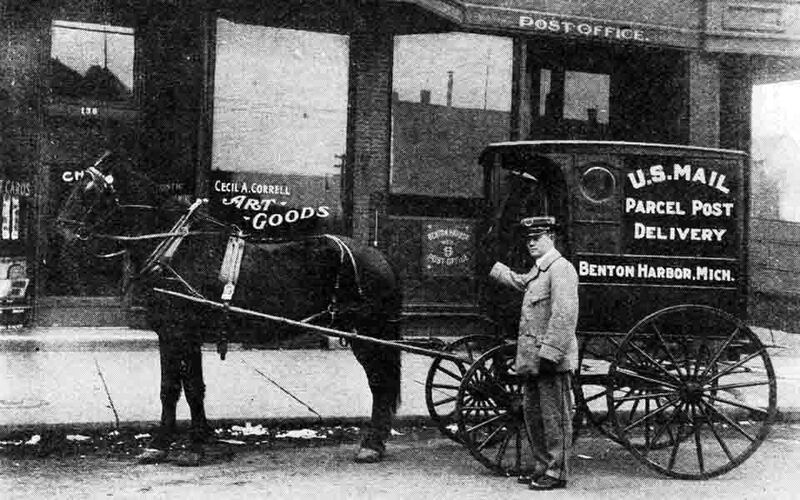 (Bottom) When Parcel Post service was launched 100 years ago, a demand for new methods of handling was created. Many summer vacation itineraries include both a day at the ballpark and time set aside to send picture postcards off to loved ones. The 50th edition of Your Postal Podcast offers stories about both traditions. You'll hear from the National Baseball Hall of Fame's President about stamps being issued this month to honor four of the game's greatest legends. We'll also touch base with two photographers who decided that creating and sending their own picture postcards was the best way to chronicle -- and fund -- their summer trip to all 50 states. A roundup of postal headlines concludes the show -- along with a chance to win a special prize featuring new stamps jointly issued by the U.S. Postal Service and France's La Poste. For a transcript of this podcast click here. Click on the comments link below and leave your thoughts or suggestions for a chance to win a Miles Davis and Edith Piaf Commemorative Stamp Folio. One winner will be selected at random from all eligible comments on Aug. 1, 2012. To see the stamp folio, learn more about Davis and Piaf, and hear some of Davis' music, click here. 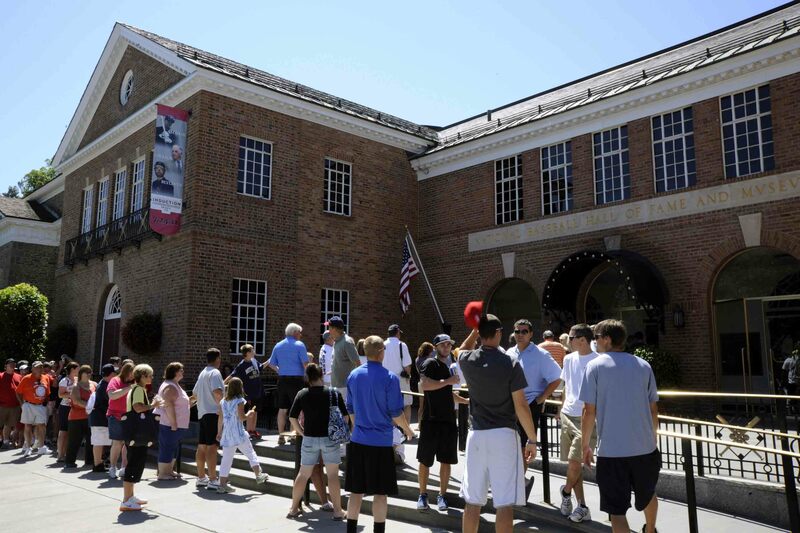 Photos: The National Baseball Hall of Fame and Museum (top) will host the debut of stamps honoring four greats already enshrined at the Cooperstown, NY, Landmark. Hall of Fame photo courtesy: Milo Stewart Jr./National Baseball Hall of Fame and Museum. 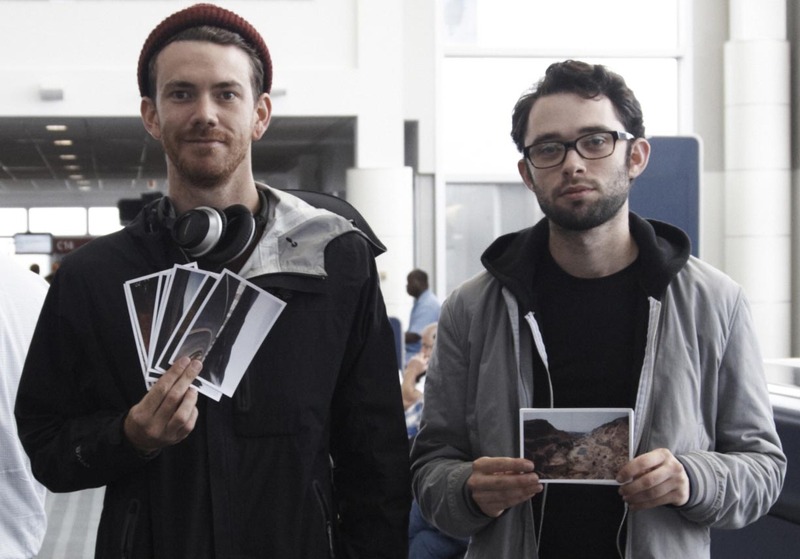 Photographers Andrew Kenney (right) and Jake Jones with some of the picture postcards they created on their cross-country journey. Summertime is known for its blockbuster movies, and the June edition of Your Postal Podcast follows suit with a star-studded list of the best movies with Post Office-related themes. You'll also hear how some Arizona customers are able to stay in their cars to mail packages and letters, as well as our monthly roundup of postal news. Click on the comments link below to leave feedback and submit story ideas for future editions. Thanks for listening -- and don't forget to visit YourPostalBlog.com for daily updates on all things postal. 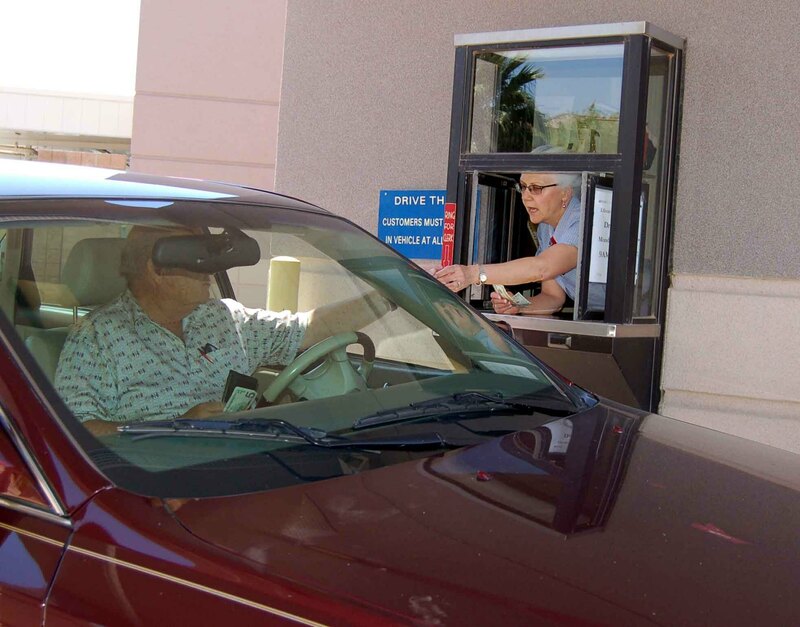 Photos: Susan MacDowell assists a customer from the USPS Sun City West Branch's drive-through window. 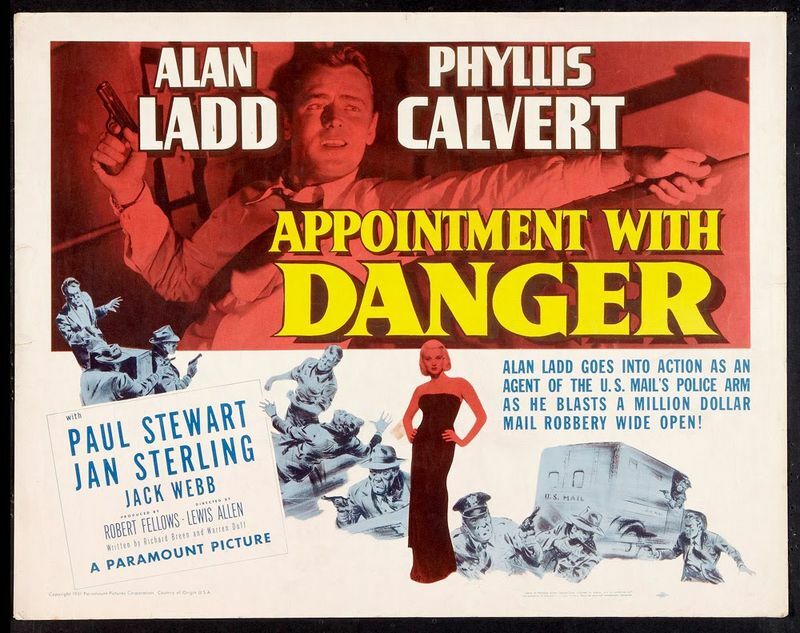 "Appointment with Danger" starring Alan Ladd is one of Hollywood's best postal-related movies of all time, according to the Smithsonian National Postal Museum's curator. Click here for a transcript of the June 2012 Your Postal Podcast.